The synopsis on the book tells you nothing, and I don’t think I’ll tell you much more, other than this is an excellent read about a young Nigerian refugee and the British couple she encounters. A moving story about a man and his dog Stella, who is currently the best thing in his life and offers him advice as he navigates his shaky mid-life. A little girl is left on a ship bound for Australia in the early 1900’s and is adopted by the port master when no one claims her. As an adult she learns of her mysterious beginning and sets out to find out who her parents are. The storytelling shifts back and forth in time and from one voice to another, including her granddaughter, who gets caught up in the mystery. Franzen presents a new family drama. And as in The Corrections, he builds a truly believable world where we can all identify with his oh so flawed characters. A thoroughly enjoyable read. Availability: Special Order is possible. Currently unavailable or possibly out of stock indefinitely. Please contact us before ordering. 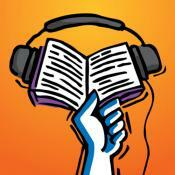 Get audiobooks through Northwind Book & Fiber and libro.fm. Outside a dog, a book is man's best friend. Inside a dog, it's too dark to read.